It's that time of the year again! 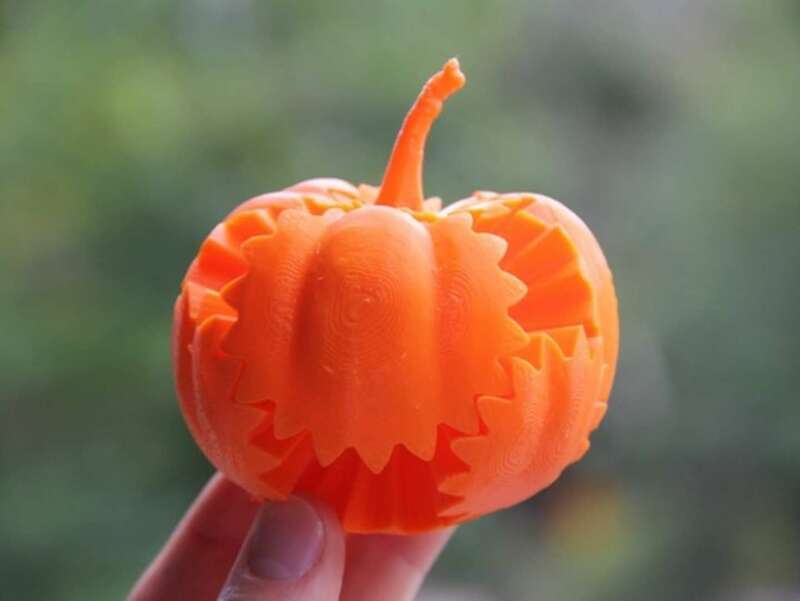 Buy a bag of candy and grab your filament—it's time to print. 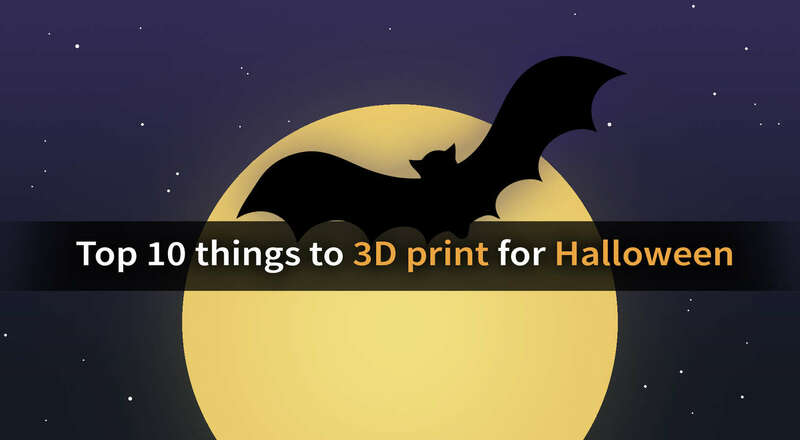 We've got you covered this Halloween with spooky 3D-printable decorations, creepy toys, and really cool tech projects. Looking to decorate that empty place on the coffee table? This is the print for you! 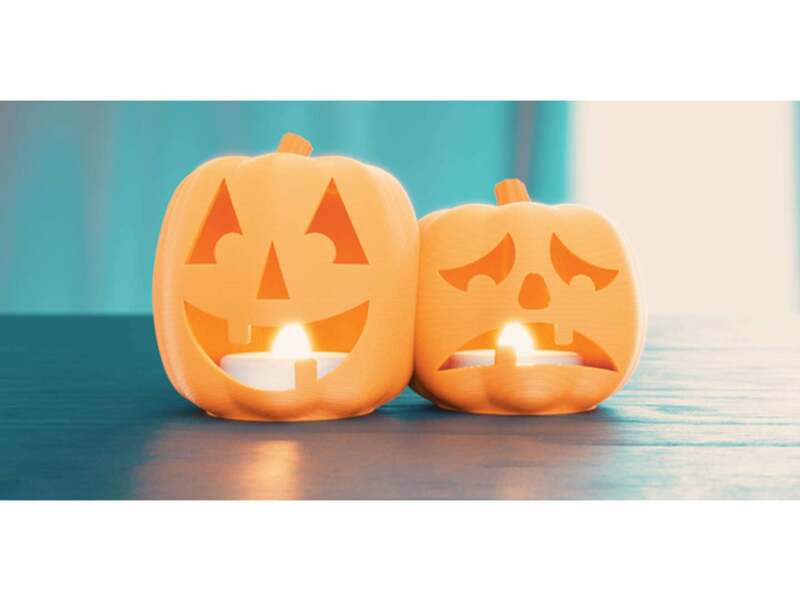 These adorable jack-o-lantern prints are here just in time for your miniature Halloween needs. Note: This print is perfect for LED tea light candles, not real candles. The Megapod is one of the coolest robot projects on Thingiverse. If you're looking for something more involved this Halloween, build yourself a Megapod. 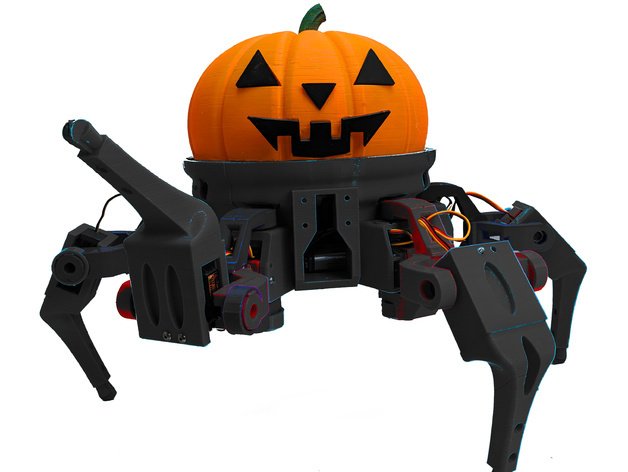 Vorpal's new Megapod Pumpkin reskin is a festive addition to the project. Spiders in disguise? You bet! 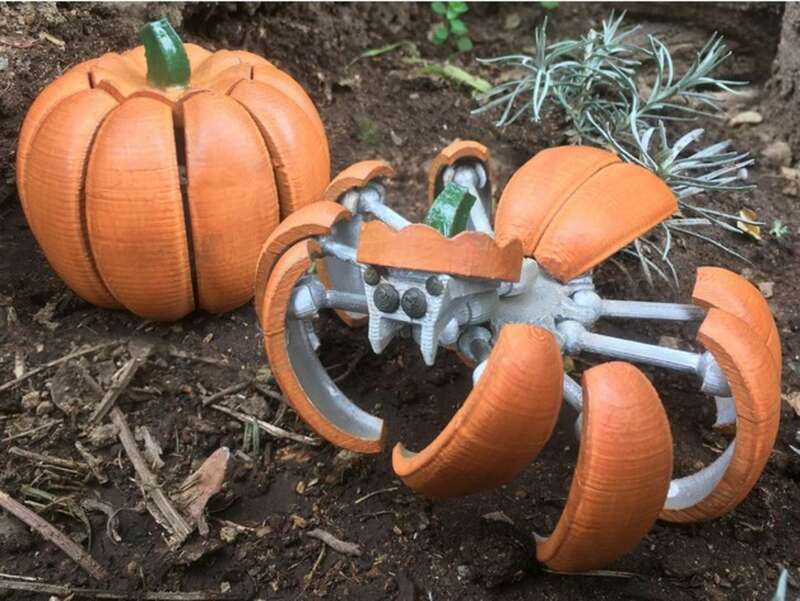 This pumpkin is more than meets the eye. The design is really cute to look at and fun to play with. 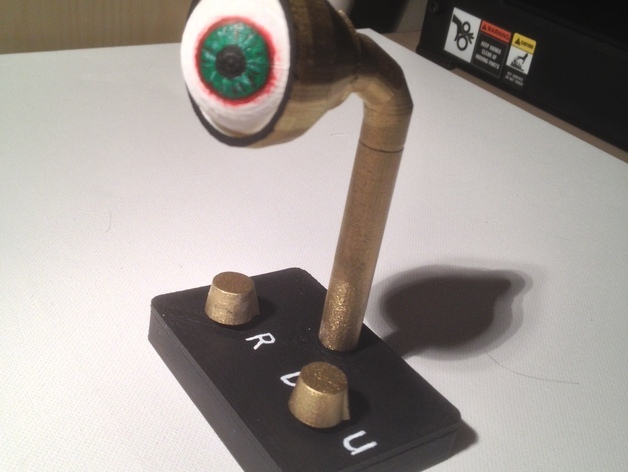 A servo motor brings this guy to life as he looks around the room, swiveling his head back and forth. 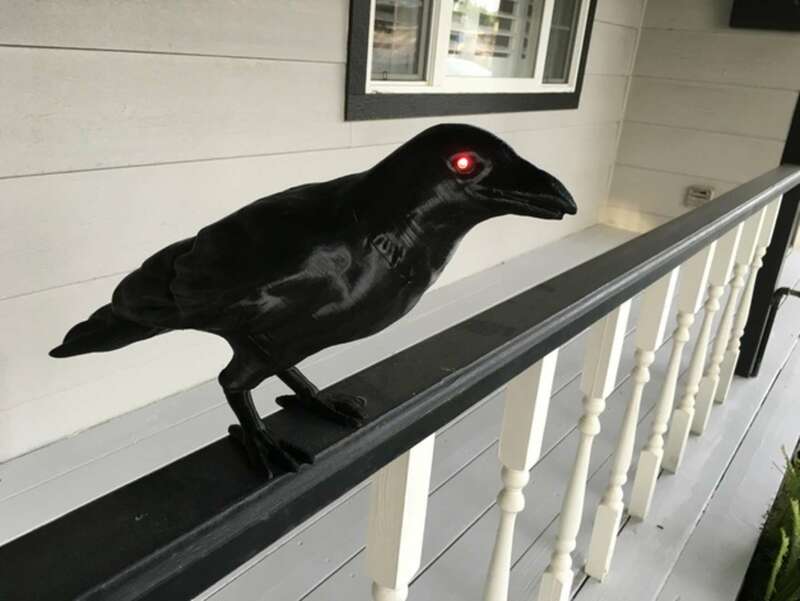 If you want the joy of crow ownership without the hassle of electronic guts, you can find a stationary version here. Brewing up trouble? 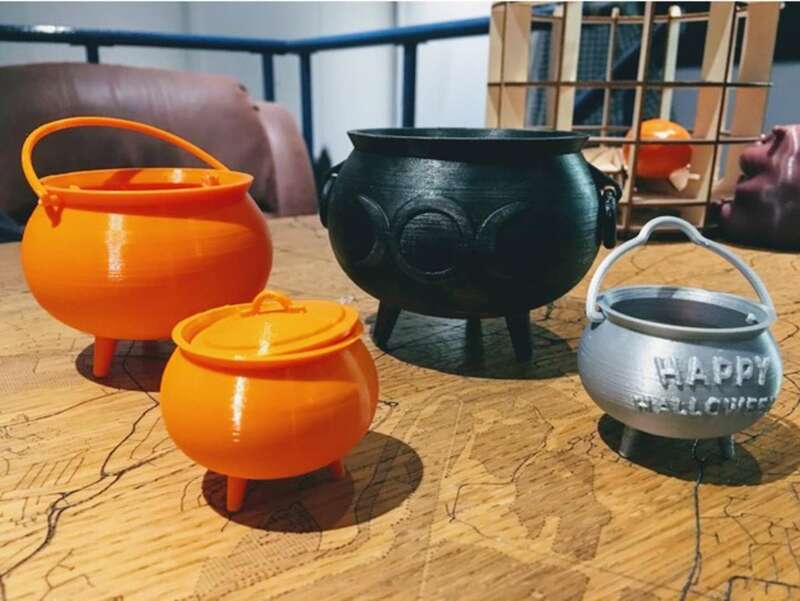 Contain it in one of these classic cauldrons! This design works well for storing candy, treats, keys, or anything else that fits. The designer, Tone001, includes a selection of cauldron designs to choose from. It takes about 5 rotations to form the pumpkin back into shape. Why turn lights on with a measly switch when you could throw the lever! Don’t just turn on the lights, give life to your creation. 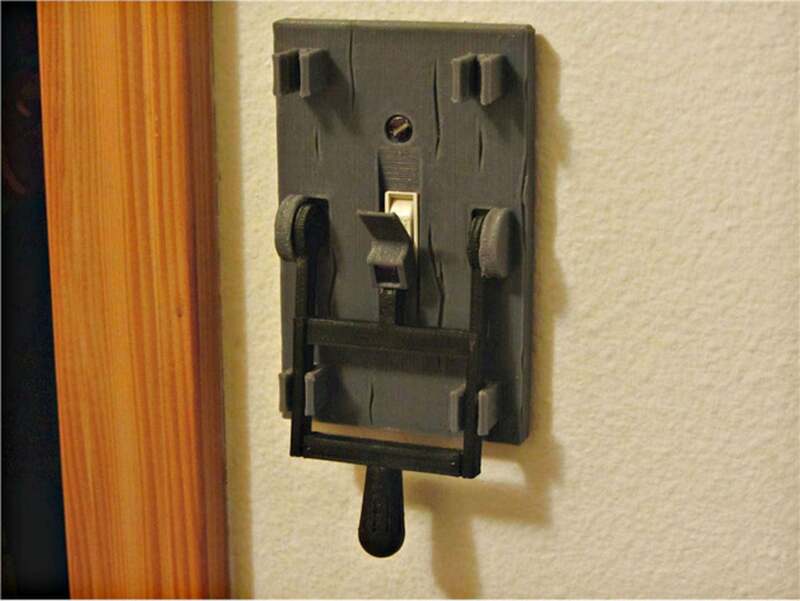 This functional print is guaranteed to brighten up the room. Be sure to use food safe filament for this print. This is the tastiest project on this list! 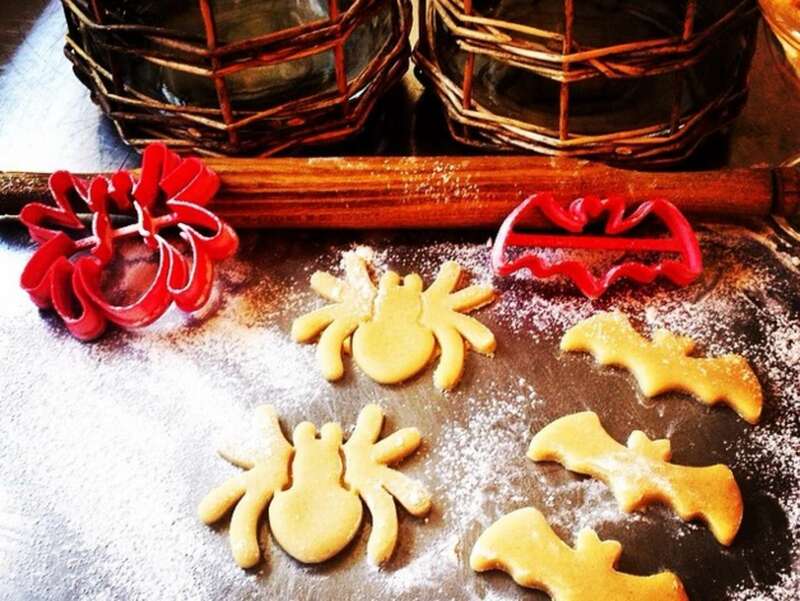 Make your favorite cookies and turn them into spooky Halloween shapes. OogiMe’s design includes both spider and bat shaped cookie cutters. They’re ookie spooky buddies, just in time for Halloween! What are they up to? 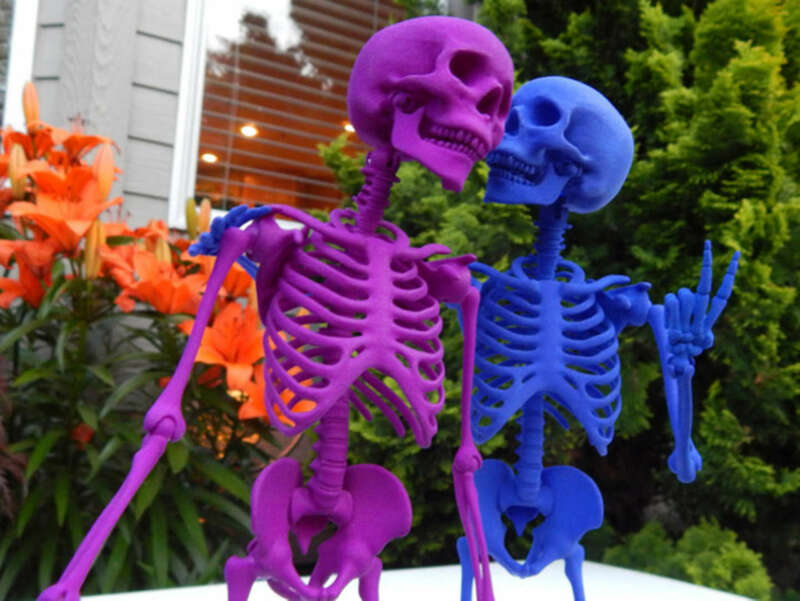 You decide by posing their articulated bones into any position you want. What’s that over there? No—over there! Use this to look around. A spooky creation for a spooky individual! You can see the eyeball in action on YouTube!